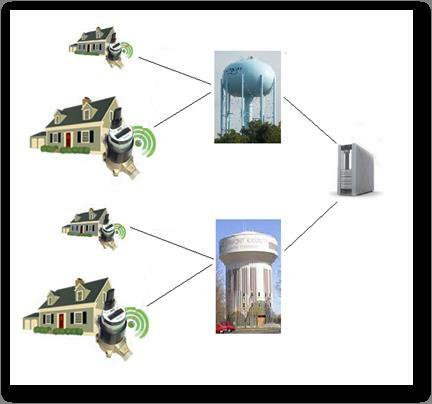 BATAVIA, Ohio (Dec. 23, 2015) – Clermont County’s Water Resources Department (WRD) will soon begin to replace customers’ water meters with meters that will allow wireless transmission of water usage data. Beginning in January 2016, about 500 meters will be installed throughout the county, said WRD Director Lyle Bloom. The county will make sure these meters are operating correctly before beginning to install the rest of the meters. The county will replace approximately 41,000 meters, and the project is expected to take until September 2017, Bloom said. A day or two before each meter upgrade, US Bronco Services (the installer) will notify each customer with a door hanger slip. On the day of the upgrade, the installer will attempt to notify each customer shortly before the installation begins. The installation will take about 30 minutes, with water service unavailable for 15 minutes. Clermont County contracted with HD Supply Waterworks to provide the Advanced Metering Infrastructure System (AMI). HD Waterworks’ installer is US Bronco Services. The project costs approximately $8 million, Bloom said. 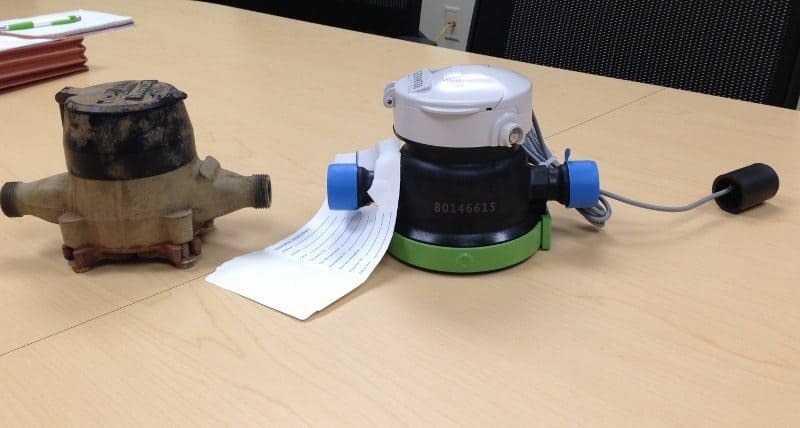 The AMI meters will transmit water usage information wirelessly to five collector sites throughout the county, said project manager Kevin Kappers. That information is then relayed to an offsite billing and monitoring server. The new system will allow customers to have essentially pinpoint accuracy in determining water use. If a customer’s bill reflects an unexpected spike, the department will be able to tell the customer what day and hour the spike occurred, Kappers said. The system will also be helpful in identifying leaks, he added. Four maintenance techs currently read meters in Clermont County. They will be reassigned, Bloom said. No rate increases are planned as a result of this upgrade, he said. For more information, view this FAQ on the project. For more information, contact Kevin Kappers, (513) 732-8091, kkappers@clermontcountyohio.gov.